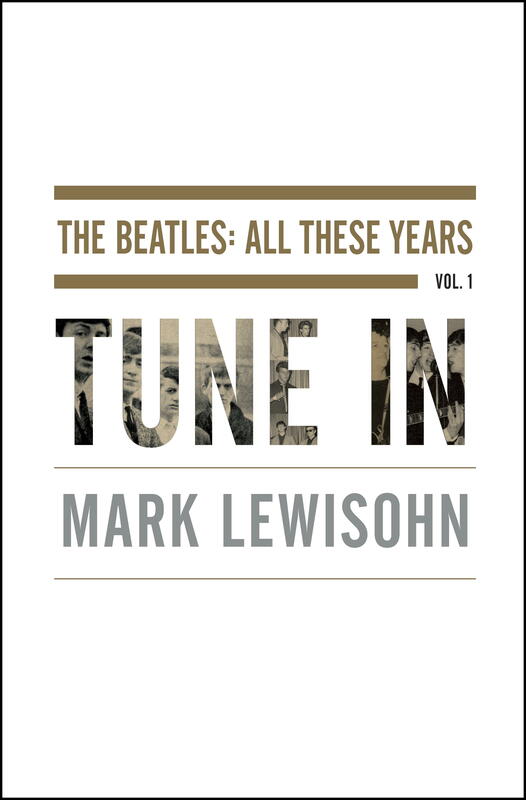 The “extended special edition” of Mark Lewisohn’s Tune In is the longest, and one of the most expensive, books I own. I do have a few volumes, though, that are real hefty, costly, and not apt to be purchased by the casual consumer. 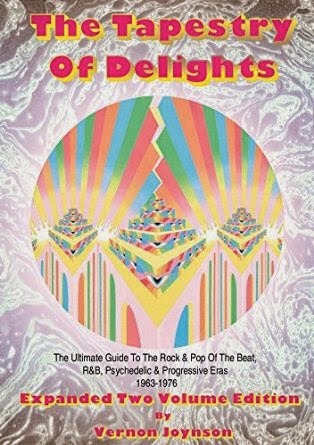 As a kind of follow-up to my previous post about some of the most expensive/unavailable rock books I’d like to read, here’s a list of a dozen or so I do have, and which might be worth checking out if they’re up your particular alleys. 1. The Beatles: Tune In: Extended Special Edition, by Mark Lewisohn (Little, Brown, 2013). 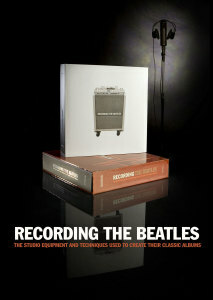 The Beatles are as omnipresent in the rare rock book world as they are in the world of best-sellers. 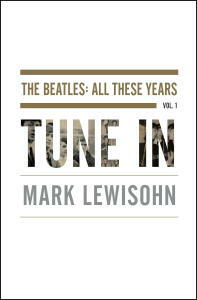 One of the best Beatles books, and a high-selling one if not a best-seller, was Mark Lewisohn’s Tune In, the first installment (stopping at the end of 1962) of his projected three-part biography. The “standard” edition, measuring a “mere” 900 pages or so, was itself too intimidatingly large for many readers. So the “extended special edition”—running almost twice the length at around 1700 pages—was not for the faint-hearted, or the paycheck-to-paycheck. It’s gone down in price a bit since its publication in late 2013, but it’s still a little more than $100 on Amazon. But, to condense my review of the extended edition in a previous blogpost, I feel like this monumental biography still hasn’t gotten the attention it deserves. 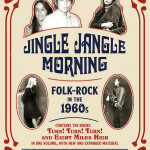 It’s easily the most comprehensively researched volume on this much-written-about group; the writing is very good; and it extensively draws on the musical and social context of the times in interesting, useful ways. It’s really worth the costly investment if you’re a serious Beatles fan. It has considerably more information than the standard mass-market edition, from important additional context to fascinating trivia. The “regular” edition of Tune In still runs almost 1000 pages. 2. 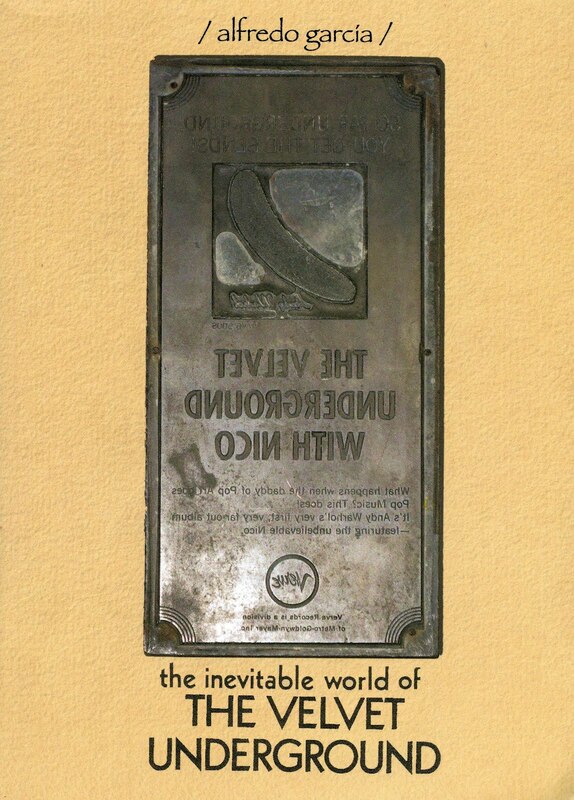 The Inevitable World of the Velvet Underground, by Alfredo Garcia (self-published, 2011). From the biggest band in the world to the biggest cult band in the world, from a big-selling title to a small limited edition—that’s the leap we’re making with this next listing. Self-published in a numbered, limited edition of 500, this 504-page book compiles and reprints almost every known press clipping, advertisement, record review, chart listing, press release, etc. related to the Velvet Underground through the mid-1970s. There’s no accompanying text, but on their own these are incredibly valuable archival/historical materials, printed clearly on good-quality paper, chronologically sequenced in the order in which they originally appeared. It also includes a bound-in bonus CD of VU radio ads and interviews. Somewhat to my surprise, copies are still available for $100 or 90 Euros (shipping and handling included in both cases) through https://inevitablevucatalogue.wordpress.com. 3. Barrett, by Russell Beecher & Will Shutes (Essential Works, 2011). 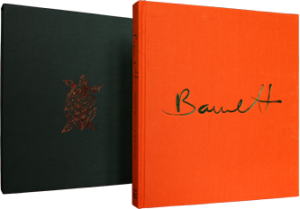 Not a biography of the great Syd Barrett, but an art book with photos of both Syd and early Pink Floyd; reproductions of paintings and illustrations by Barrett that have rarely or never been published; and repros of letters Syd wrote to various girlfriends before his brief period of fame. It’s pricey (£100 to the US, shipping included; lower in the UK and EU, higher rest of the world), and the appeal might be limited by its relatively narrow focus. But the packaging and quality of the reproductions are exceptional. I wrote a much lengthier review, and interviewed the authors, in issue #1 (spring 2012) of Flashback, which is itself hard to find now in its physical form, though it can be downloaded here. 4. Recording the Beatles: The Studio Equipment and Techniques Used to Create Their Classic Albums, by Kevin Ryan and Brian Kehew (Curvebender, 2006). Huge and heavy doorstop volume that goes into exactly what the title says it does, in a ton of detail. I’d have to say this is of most interest to “gearheads,” or at least music fans who are also musicians and/or recording studio professionals, owing to the sheer weight of highly technical descriptions of microphones, mixers, and other equipment. 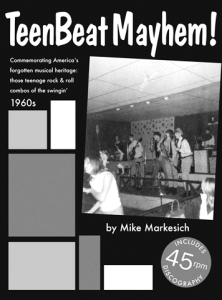 Some sections, however, are more accessible to the average Beatles fan, filling in some interesting gaps about their recordings and instruments that were not covered in other excellent books, such as Andy Babiuk’s Beatles Gear (coming out in a few months in a substantially revised/updated edition, by the way) and Mark Lewisohn’s The Beatles Recording Sessions. This retails for about $100 through curvebender.com, and though it’s not for everyone, those I know with more than a passing interest in the subject have been very satisfied with their purchase. 5. 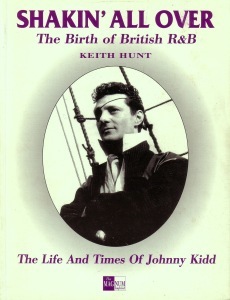 Shakin’ All Over: The Birth of British R&B: The Life and Times of Johnny Kidd, by Keith Hunt (The Magnum Imprint, 1996). Here for a change is a book that’s not deluxe in scale (though it’s 200 substantial pages), and not even particularly expensive. It finds a place here because it’s just not very well known, even though its subject—Johnny Kidd, the best pre-Beatles British rock musician—is very worth knowing about. Although author Keith Hunt might have been more of a devoted fan/researcher than a writer, there’s lots of first-hand interview material with those that knew Kidd (most famous for his 1960 UK hit “Shakin’ All Over”), as well as a wealth of photos and illustrations. Used copies aren’t hard to find online in the $40-50 range—not too much more than the 17 pounds I paid for it in a London bookshop in 1996, shortly after its publication. Don’t get confused by the unnecessarily long and unwieldy title, by the way; this is a comprehensive book about Kidd, not a book about the early British R&B scene. 6. 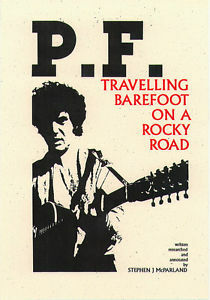 P.F.—Travelling Barefoot on a Rocky Road: The Musical Biography of P.F. Sloan, by Stephen J. McParland (CMusic, 2000). I noted this title in passing when I discussed CMusic in my post about rare/expensive books I haven’t read. I do have this one, however, which is a very comprehensive biography of Sloan, the cult figure who wrote and performed numerous classic pop-folk-rock songs in the mid-1960s. It’s plainly designed, and the level of record-nerd detail isn’t for everyone. But the depth of research is enormous, with 40 pages of intensely extensive discographical information. CMusic titles (most about ‘60s California pop-rock) are expensive when they first come out (this cost me 26 pounds in a London bookshop shortly after its publication), and seldom spotted in stores—in fact, the only time I physically saw this was when I bought it. Unlike all of the other titles in this post, I don’t see this for sale used anywhere online—something true of most CMusic titles, unfortunately. They must have pretty limited print runs. 7. The Beatles from Cavern to Star-Club, by Hans Olof Gottfridsson (Premium Publishing, 1997). It’s back to the Beatles for this 460-page Swedish production, with text exclusively in English. Subtitled “The Illustrated Chronicle, Discography & Price Guide 1957-1962,” it very meticulously documents their pre-1963 recordings. Some of the tables of discographic information (particularly of the sessions they did with Tony Sheridan in Germany) are dry and purely of referential use. But there are also interviews with people who knew and worked with them in their pre-fame days, like some of the Quarrymen, pianist Roy Young, and recording engineer Karl Hinze. There are many rare and interesting photos and illustrations, and possibly more reproductions of releases of the sessions they did with Sheridan than you want to know about. It must also be said that the organization and sequencing of the material is sometimes haphazard. Having written my own book about the unreleased Beatles’ material, I might not be the most objective judge, but I’m also incredulous that the coverage of the 15 songs they cut at their January 1, 1962 Decca Records—the most significant recordings they made during these years, besides their first pair of singles for Parlophone—is so perfunctory. In other respects, however, the volume has amazing material for the (very, admittedly) serious Beatles fanatic, as well as a bound-in bonus EP with a nice picture sleeve, though the four tracks (all backing Tony Sheridan) are easily available elsewhere. The book is still available from premuimpublishing.com for the reasonable price of $48. Author Hans Olof Gottfridsson, incidentally, uncovered a lot more interesting, previously unknown information about the Beatles’ December 1962 recordings at Hamburg’s Star-Club for a two-part article in the June and July 2015 issues of the UK magazine Record Collector. 8. The Action: In the Lap of the Mods, by Ian Hebditch and Jane Shepherd with Mike Evans and Roger Powell (self-published, 2012). Most expensive limited-edition rock history books are about superstars. Or, even if they’re not about superstars, about acts with huge cult followings (as is the case with The Inevitable World of the Velvet Underground), or acts with links to superstars (like Ronnie Wood’s new How Can It Be? A Rock and Roll Diary, based around the 1965 diary he kept when he was a member of the first band with whom he made records, the Birds). 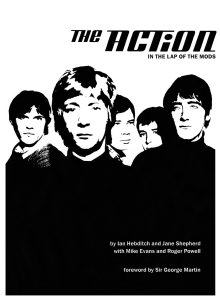 One recent exception to this general rule is this lavishly illustrated, 400-copy hardback devoted to the mid-‘60s British mod band the Action, who didn’t have any hits, but have sustained a sizable cult following. I’m not as big a fan of this book as some other enthusiasts; the Action’s history, though interesting, is a little stretched to fill out even a book of this length, and some of the sections on mod fashion and culture, eyewitness accounts of the band, and venues aren’t as interesting as the ones on the actual short-lived group. Still, it’s packed with cool period illustrations and first-hand quotes from the Action members, and even has brief appreciations by George Martin (who produced them) and Phil Collins. It’s still available through the website theactionbook.com for £75 plus shipping (beware, the shipping adds on about 50% to your total purchase if you’re ordering from North America). There’s a £35 edition that just includes the 176-page core book, but doesn’t include the notable bonuses you get with the 400-copy limited edition: a 96-page scrapbook of sorts of vintage clippings and gig listings (plus detailed discography) and a seven-inch single of a previously unreleased track from their May 1965 Decca audition. 9. 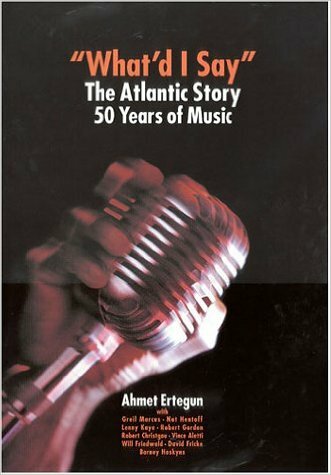 “What’d I Say”: The Atlantic Story: 50 Years of Music, by Ahmet Ertegun (Welcome Rain, 2001). This back-straining 565-page, approximately 14.5” X 10” job is the kind of thing that usually gets issued as a limited edition. Refreshingly, it was produced for the mass market, if at a pretty expensive price of $75; I was pretty lucky to find a used copy at half price. Ertegun was head of Atlantic Records, and like many books written by such executives, it’s more a celebration/glorification of the label’s successes than an objective look at the company’s accomplishments and failures. For more depth, there’s Charlie Gillett’s 1974 volume Making Tracks: The Story of Atlantic Records, and Robert Greenfield’s Ertegun biography The Last Sultan. But this coffee table book does have lots of good photos and Ertegun quotes, as well as some essays about aspects of the label by prominent music critics, though it unfortunately says little or nothing about some of their more interesting acts (like the Velvet Underground). It looks like new copies are now available online for half the list price at which it originally sold. 10. Some Fun Tonight! : The Backstage Story of How the Beatles Rocked America: The Historic Tours of 1964-1966, by Chuck Gunderson (Gunderson Media, 2014). 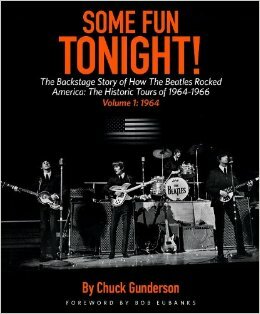 Mammoth, expensive ($175) two-volume, 600-page hardback set documenting the Beatles’ mid-‘60s North American tours in exhaustive detail. This is more for the Beatlemaniac than the general reader, owing to the price but also the coverage of material that will be of most interest for reference purposes. It’s certainly in-depth in its research into how the concerts were set up and took place, however, and is lavishly illustrated with photos, posters, and documents, some quite rare. 11. 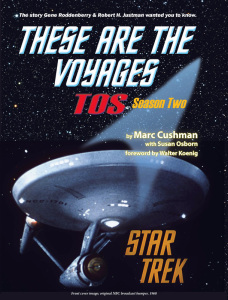 These Are the Voyages: TOS [The Original Series]: Star Trek Season One/Two/Three, by Marc Cushman with Susan Osborn (Jacobs/Brown, 2013/2014/2015). Some readers will think this is an outrageous inclusion, and they have a point, since this is about Star Trek, not about rock music. Still, there seems to be enough of a crossover between rock fans (especially of ‘60s rock) and Star Trek to make this three-volume set worthy of attention in a post like this, especially since they’re the kind of specialist books that haven’t gotten a lot of press outside of the Trekkie community. This is an astonishingly detailed episode-by-episode survey of all 79 programs from the original series, drawing on lots of first-hand interviews, photos, and production notes. 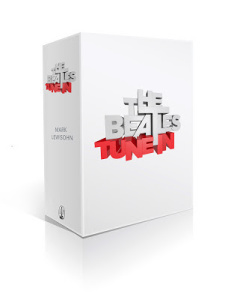 In that sense, it’s kind of an equivalent to a rock book like Mark Lewisohn’s The Beatles Recording Sessions, giving even experts their first real play-by-play look at what happened behind the scenes. As the three volumes add up to a total of 2000 (!) pages, it’s not for the casual reader, or even the casual Trekkie. But if you’re reading a post like this to begin with, you’re probably not a casual reader of books on your favorite subjects. And if you’re someone who does opt for tomes like this, it’s time to stop being embarrassed about spending lots of time and money reading something so specialized that people look at you funny when you even mention it. And, while undeniably long, this three-volume series isn’t all that expensive, especially if you get all three at once—which you can do for $67.95 plus shipping through the thesearethevoyagesbooks.com website. 12. YES: Yoko Ono, by Alexandra Munroe and James Hendricks (Harry N. Abrams, 2000). 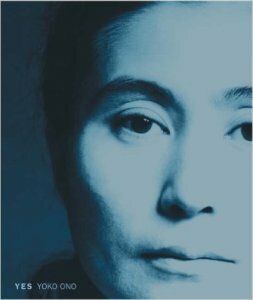 As I wrote earlier this year in another context, Yoko Ono is one of the most polarizing figures in popular culture. It will thus gain me points with many fans, and lose points with many others, to say that I’m not a fan of her music. I like much of her art, though, and that was the focus of this $60 coffee table volume. Issued to coincide with a major traveling exhibition of her work in the early twenty-first century (including a stop at the San Francisco Museum of Modern Art, where I saw it), it does include some coverage of her music. Most of the illustrations and essays, however, are about her visual artwork, events/performances, and films. Not for everybody—nothing related to Yoko Ono is for everybody, or almost everybody—but a cool thing to have, almost functioning as a book-length (350-page) catalog for the exhibit. Especially if you’re lucky enough to find it for $25 used, as I did, since it still sells for about $60 online (a mere $20 in the paperback version, though). 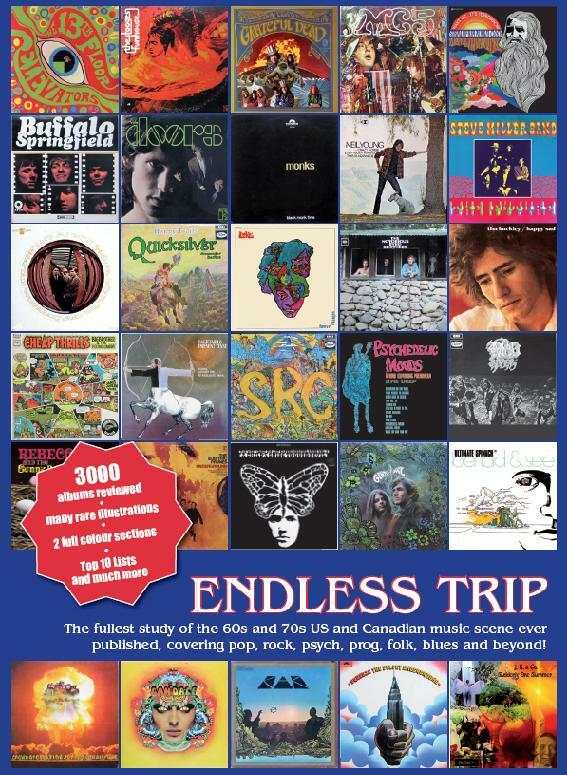 Endless Trip, a nearly 800-page book of reviews of North American rock albums from the mid-1960s to the mid-1970s, edited (and often written) by my friend and Flashback editor/publisher Richard Morton Jack. Issued in 2011, this is already going for $200-$500 online. 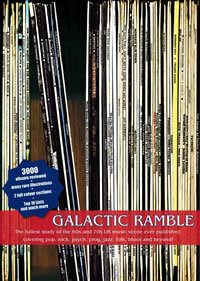 Galactic Ramble, a similar 500-plus-page compendium of reviews of UK rock albums from the mid-1960s to the mid-1970s, also edited/published/often written by Richard Morton Jack. Published in 2009, this is already going for $600-$700. Yikes! Vernon Joynson has several huge discographies of rock from 1963-76, including volumes for acts from the UK (The Tapestry of Delights); Canada/Australasia/Latin America (Dreams Fantasies and Nightmares from Faraway Lands); and the US (Fuzz Acid and Flowers). I have just the first two of these. 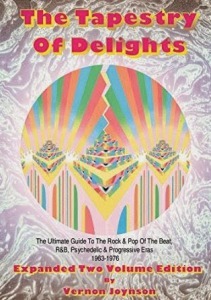 The only one still in print is The Tapestry of Delights, now a two-volume expanded edition selling for £68 through borderlineproductionsbooks.co.uk (though bear in mind it totals more than 2000 pages). Mike Markesich’s TeenBeat Mayhem! is a 400-page small-print discography listing and rating nearly 10,000 US ‘60s garage rock singles, with a few essays and many illustrations. The official list price was $99.95, but you can get it for half that through the web store of Ugly Things magazine. 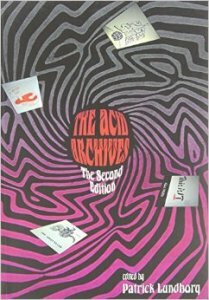 Acid Archives, edited and often written by the late Patrick Lundborg, has almost 400 pages of detailed reviews of really obscure North American rock records from the mid-1960s to the late 1970s (with a few exceptions). Some rare/underground major label releases are included, but the emphasis is on albums that few people outside of the dedicated collector community have heard of, often released in limited runs or private/vanity pressings. The second and most recent edition (from 2010) sells for $83.25 on Amazon, but you get a much better deal from Forced Exposure, currently listing it for $52. 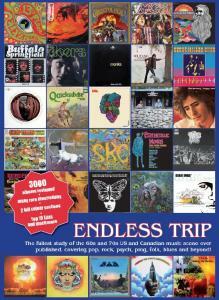 Interesting and enjoyable last couple of posts on the rare music books. In addition to your album reviews, I’ve long enjoyed your rock music book reviews, including a bunch that were in the first couple of editions of the All Music Guide to Rock. Thanks. Those books weren’t expensive when they came out, and they may be harder to find now than I would have guessed. I was lucky to recently find the original “Rolling Stone Illustrated History of Rock” in good condition (my copy, bought shortly after publication when I was 14, was falling apart) at a library sale for $3. Yes, I’m in my mid-30s, so I was buying these books online, long after they originally came out. Thankfully, I found both in really good condition, but I paid a little extra for the condition. I think I bought the Beach Boys book (it’s the 1985 updated edition, in hardcover format) for about $40, and the original “Rolling Stone Illustrated History of Rock and Roll” book cost me maybe $25. So that was quite the find you made getting it for $3! As far as I’ve been able to tell, that Beach Boys book, whether it’s the 1978 or 1985 version, has been commanding fairly high prices for several years online. What a great post Richie. I’d add Genesis Publishing. They have all those really expensive books. I had an Exile on Main Street book from them that cost a few hundred new and now sell for thousands (I sold mine!). 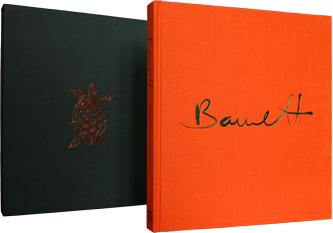 And that other expensive Velvets book (but nothign holds a candle to yours!). Thanks. I did write about a few Genesis books in my previous post about rare rock books I don’t own (at http://www.richieunterberger.com/wordpress/rare-rock-books-i-have-not-known/). Most of their titles are too expensive for my budget, including the one on Exile on Main Street (simply titled Exile). Occasionally they do “trade” editions for much more affordable sub-$100 prices, like the recent one on Jimmy Page, and Ringo Starr’s “Photograph” semi-memoir, which is coming out for $50 next month.